The NPA has urged caution in reading too much into a new report suggesting Brexit will boost pig farm incomes. 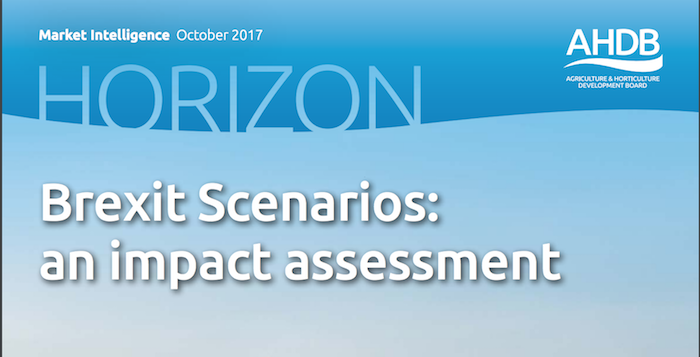 AHDB’s latest Horizon report, Brexit scenarios: an impact assessment, looked at the impact of various future scenarios on the different sectors of agriculture. While the report painted a worrying picture for most sectors, pigs stood out as beneficiary under all scenarios modelled. Under one scenario, a move to World Trade Organisation tariffs for all trade, pig incomes are forecast to quadruple due to the impact this would have on the cost of imports. With so many variables at play, however, it would be unwise to draw any firm conclusions from the analysis, the NPA has stressed. The report explored four areas – trade, domestic farm policy, labour supply and regulation - using three scenarios to try and quantify the impact of various Brexit policy directions on UK farming. Scenario 2 sees direct support abolished and overall support payments to UK farmers halved, with access to EU labour also halved and no change in the cost of UK casual labour. The UK adopts a liberal approach to trading, with no UK-EU trade deal. WTO rules apply but the UK unilaterally abolishes import tariffs for all agricultural products, resulting in increased competition from non-EU imports. Scenario 3 envisages greater cuts in support and a 50 percent cut in EU labour supply but with higher costs of UK casual labour. There is no UK-EU trade deal and the UK adopts the same WTO tariffs as the EU for imports of goods from outside the EU. There are some major caveats, however. For example, the huge rise in income under Scenario 3 would reduce once the industry has time to adapt and increase production, while the impact of higher prices on consumer demand also needs to be taken into account. NPA chief executive Zoe Davies said: “The analysis makes the future look jolly bright for the pig sector especially where scenarios raise the costs of imports. “But the headline numbers need to be taken with a very large pinch of salt as there are so many variables that could have a much bigger impact than this report predicts, for example, for the loss of key EU export markets, such as sow carcases, to Germany and an influx of cheap, lower standard pork imports under future trade agreements. Average farm profitability could drop from £38,000 to £15,000 a year in the worst case scenario but, AHDB said, under all scenarios the top 25% of businesses, regardless of sector, remained profitable, underling the fact that ‘performance matters’.